In the summer of 2014, the city of Detroit underwent the country’s largest municipal bankruptcy in history. The city was placed under “emergency management”, a kind of fiscal receivership imposed by the State of Michigan. One consequence was an aggressive water shutoff program implemented by the Detroit Water and Sewerage Department (DWSD), with as many as 3,000 families being disconnected from the municipal water system each week for non-payment or delinquency. The Detroit Water Brigade emerged as one of several community non-profit organizations responding to this crisis, and I worked closely with its co-founders to develop a comprehensive branding and media strategy for the fledging organization. We built the essential branding for DWB around two basic organizational pillars: (1) rapid relief and (2) advocacy. We interwove the humanitarian and the political dimensions of the water crisis into a single hashtag, #DetroitWater, that concerned citizens across the region and the world could rally behind. We developed branding like the bucket brigade imagery above, in collaboration with the Occupy Sandy hurricane relief group, that emphasized the collective and cooperative effort of the organization. Finally, we developed bold and eye-grabbing logo and graphic materials to lift up a website, social media pages and highly-effective email and SMS campaigns. The media strategy behind DWB was a two-fold combination of grassroots networking within the city and extensive national and international outreach. Inside Detroit, we recruited local community influencers to set up water stations which we mapped out onto our website and stocked with donations of bottled water, jugs, and other emergency materials collected through an Amazon wedding registry of needed items. Outside of Detroit, we aggressively and strategically pursued both mainstream media (including appearances on The Daily Show among others) and major organizations like the United Nations. At one point, DWB team members including myself traveled to Ireland to testify before the Irish Parliament about the water crisis – revealing the effectiveness of our campaign in reaching an attentive international audience. 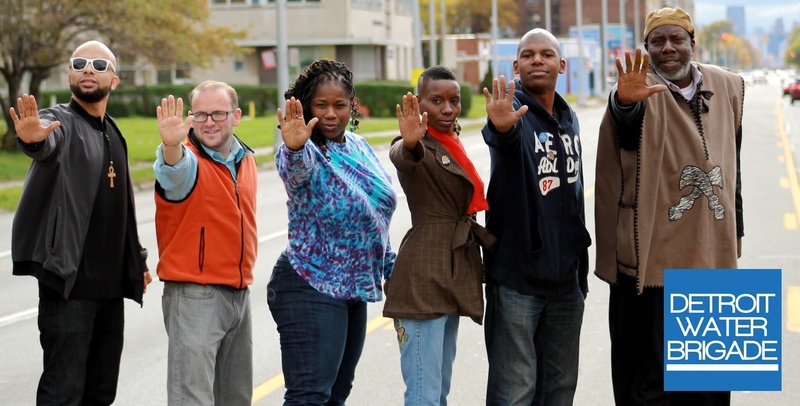 "Social media and news reports about the crisis…have inspired volunteers with no ties to Detroit."